UPDATED: Tue., Feb. 27, 2018, 9:55 p.m. 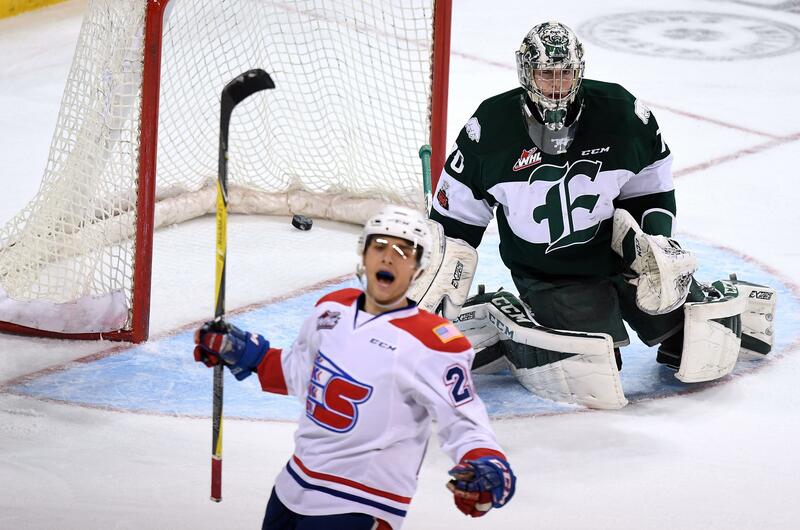 The Spokane Chiefs clinched a Western Hockey League playoff berth on Monday night, securing their spot for the 11th time in the past 12 seasons. Spokane clinched the spot when the Vancouver Giants defeated the Kamloops Blazers 2-0 on Monday. Spokane (36-21-3-2, 77 points) is 18 points ahead of Kamloops, which has eight games left in its regular season and can’t catch the Chiefs. The Blazers, however, still have a shot at overtaking teams behind the Chiefs in the Western Conference League standings. The Chiefs have 10 regular-season games left and hold down third place in the U.S. Division. If the season were to end today, Spokane would face the Portland Winterhawks in the opening round. Portland (80 points) is three points ahead of Spokane in the division. Chiefs fans can secure their home playoff tickets by calling 535-PUCK (7825), visiting the Chiefs’ ticket office during regular operating hours (Monday through Friday, 9 a.m. to 5 p.m.) or stopping by the ticket window at a remaining Chiefs home game and asking to purchase a playoff package. The package guarantees tickets to all Chiefs home playoff games. Fans will be charged at the conclusion of the playoffs. The Chiefs play their next five games on the road, starting Friday at Tri-City. Published: Feb. 27, 2018, 9:17 p.m. Updated: Feb. 27, 2018, 9:55 p.m.